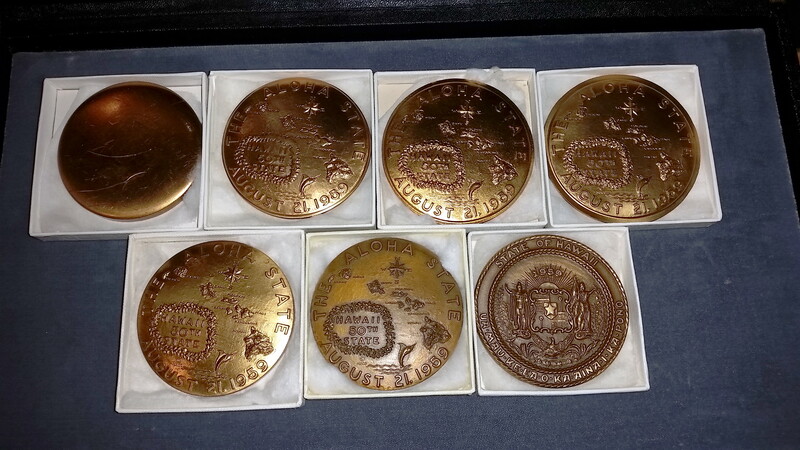 From blank to 3rd strike medals (top row from left to right). This is one of only 30 sets known to have been produced(source: Hawaiian Money Standard Catalog Second Edition by Medcalf & Russell). Happy Statehood Day Hawai’i ! !